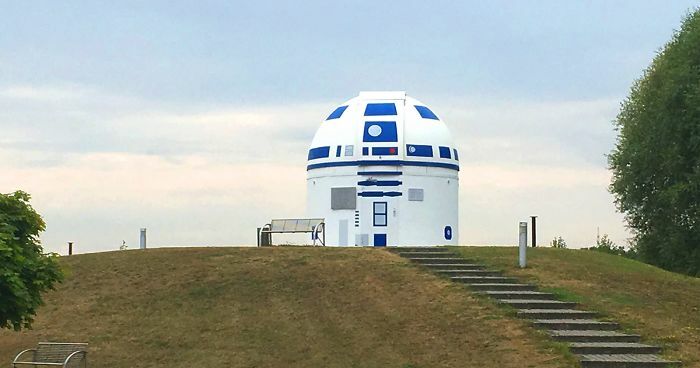 In a galaxy not so far away, a German professor has transformed an observatory into a giant R2-D2 because why the hell not. 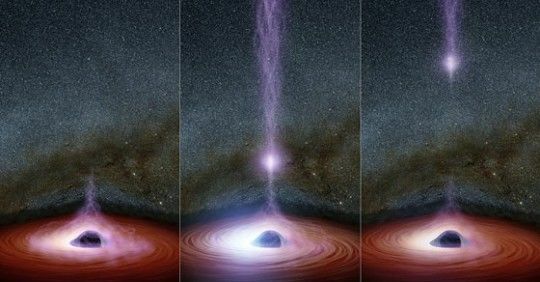 Dr. Hubert Zitt, a professor at the Zweibrücken University of Applied Sciences, is an expert in electrotechnology and Star Wars. Although Zitt only received a doctorate for his knowledge in the field of systems theory of electrotechnology, yeah I have no idea what that is either, he is famous for the lectures he delivers in Star Wars. 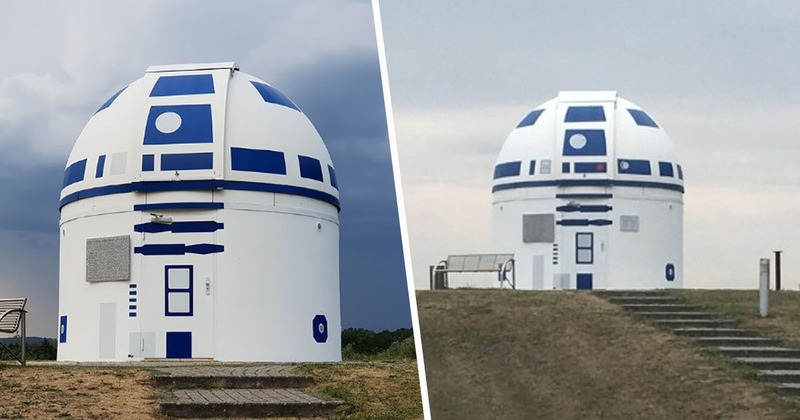 According to Bored Panda, the science-fiction fan decided to give the Zweibrück Observatory of the Natural Science Association a makeover, painting it to look like Star Wars‘ adorable robot R2-D2. Ever since the release of Star Wars: Episode VIII – The Last Jedi in 2017, fans have been eagerly awaiting any clues as to what they can expect from the next installment. The upcoming blockbuster will bring to a close the latest trilogy of the main Star Wars film franchise.